NBC Is making a live-action, Peter Pan-inspired workplace comedy titled Wendy and Peter. It sounds like The Office meets J.M. Barrie's classic fairy tale. I volunteer the whole of Brooklyn as both a cast and location (including myself). According to Deadline, the half-hour, single camera show will be more of a romantic comedy and less of a drama about a young person who kidnaps a family of children in the middle of the night. And it's set in a workplace, because if there's anything the classic story of Peter Pan needs more of, it's computer screens. The series will be written by Marisa Coughlan, Rashida Jones and is allegedly inspired by Coughlan's dating experiences. The series centers around a woman in search of a "real man" (not a robot one) but finds herself drawn to some man-child representation of Peter Pan. And we're supposed to cheer on the decision to date an adult male who isn't ready to grow up. Not sure about that just yet, but we'll have to wait and see. This will be the second Peter Pan addition to NBC, the network is currently dusting off the classic Pan musical into a brand new live show starring Christopher Walken and Allison Williams. And even closer to the show's premise is the already pretty popular Peter Pan webseries The New Adventures Of Peter And Wendy. 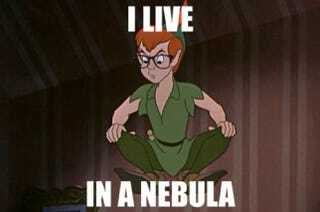 So it's official — Peter Pan is the new vampire.